All-time favorites lined up in 3 snack assortments. Sausages includes 2 zesty summer flavors, plus mettwurst, pizza and beerwurst. 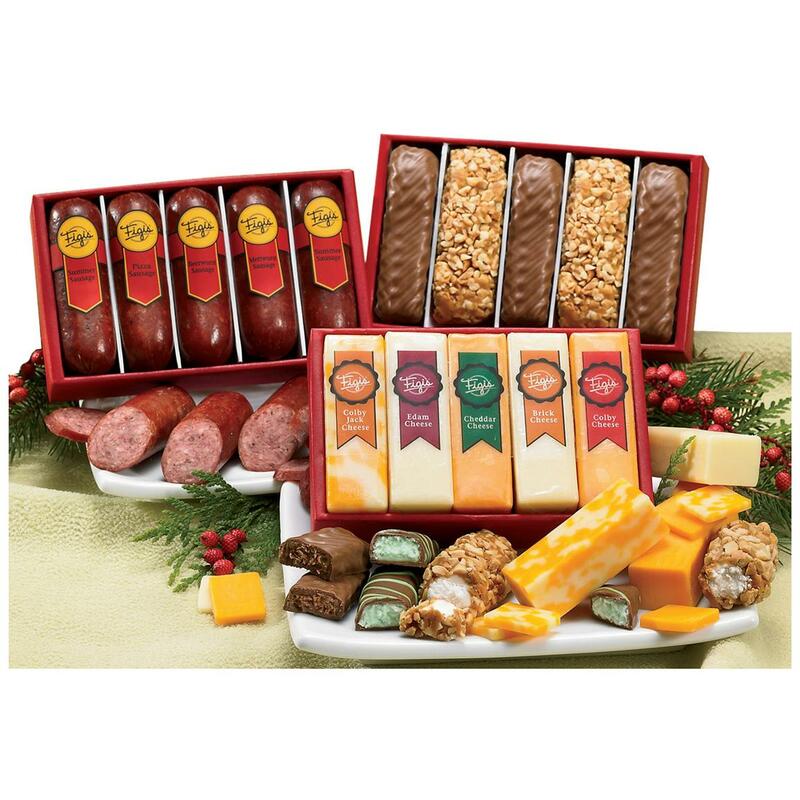 Cheese selections feature Wisconsin's finest colby, cheddar, brick, edam and colby jack. And don't forget the happy ending... 5 different dessert bars, including chocolate and mint creme bars plus nutty nougat logs. 1 lb., 7 ozs.